The centerpiece of countless power lunches, this hearty salad has been upgraded by Italian restaurants all over town. A Naples-born chef making an Italian American salad with California avocados? It works. Daniele Uditi’s lighter-than-usual take comes with cucumber, black olives, soppressata, and a red wine vinaigrette. Jon Shook and Vinny Dotolo channeled their inner Jersey Boys to come up with this punchy rendition, tossed in “zesty Italian” dressing. That secret ingredient you can’t put your finger on is chopped celery leaves. 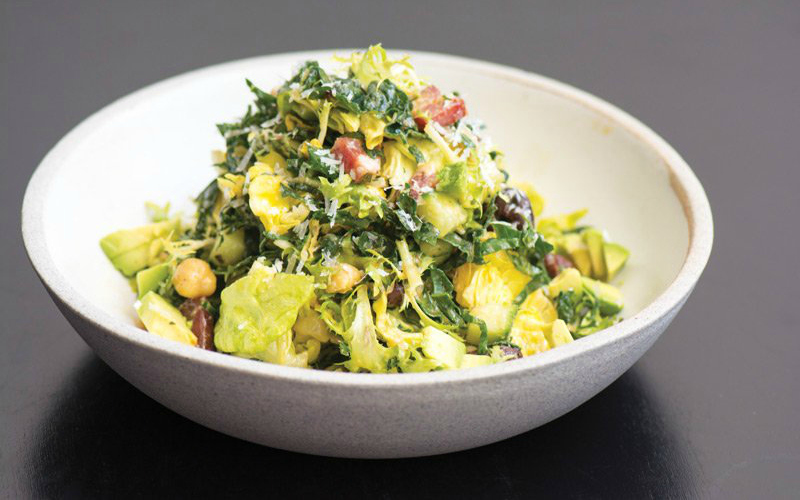 Of course there’s a kale chopped salad in L.A. Fortunately Michael Fiorelli puts the nutrient-rich green to good use in a riff made with soppressata, olives, peppers, bread crumbs, and grated ricotta salata. Loaded with salami, soppressata, and provolone, the chopped salad at Zach Pollack’s saucy pizzeria is hearty enough to satisfy. Unlike most neighborhood ’za joints, Cosa Buona enhances the classic with bitter lettuce, imported olives, and tangy pepperoncini. RELATED: Our 16 Favorite BIG Salads in L.A.